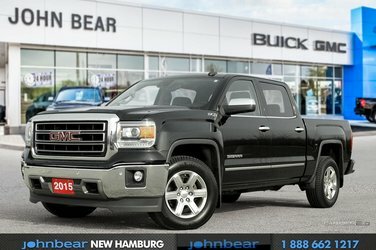 2015 GMC Sierra 1500 SLT - CREW CAB, WHAT A PRICE!!!! 'WHAT A TRUCK! 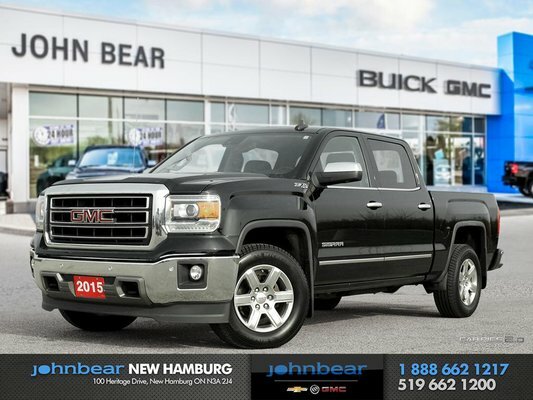 2015 GMC Sierra SLT crew cab with premium leather seating! This truck has everything you need and more, equipped with a spray in bed liner EZ lift and lower tailgate, a rear vision camera and much more you will have all you need to get the job done! Plus you won’t miss an ounce of luxury with heated and ventilated front seating, leather wrapped steering wheel with mounted controls and Bluetooth integration! Don’t miss your chance to take this beauty home, book your appointment with the sales department today! 'TO TOP IT OFF'' 30 Day Exchange Policy - $500.00 Grad Rebate - 150 Point Inspection & 24 HR TEST DRIVE!